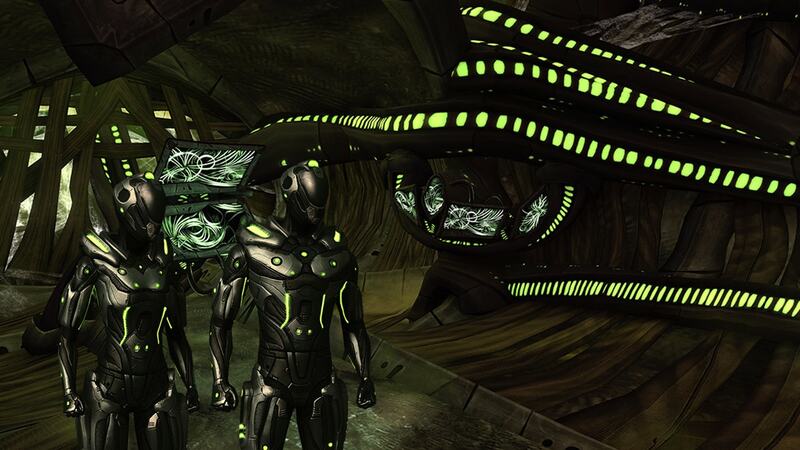 8472 Counter-Command has been tasked with the responsibility of leading the assault to counter the threat of the Undine (formerly known by the Borg designation of Species 8472). 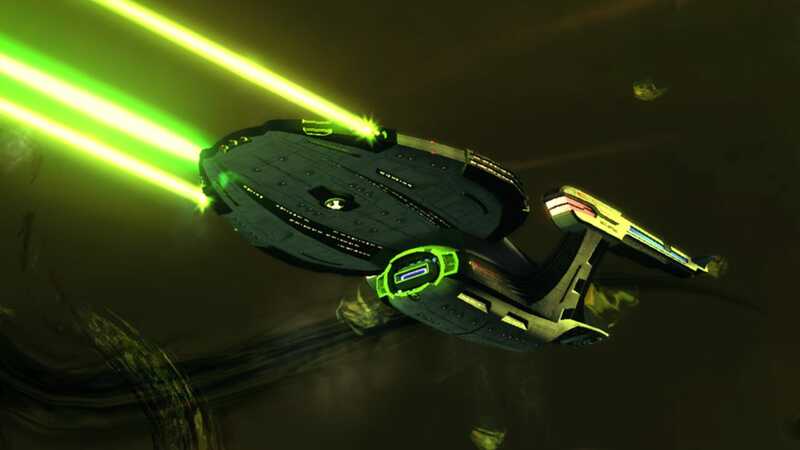 In the interest of leading the charge, Starfleet and the Klingon Defense Force have both dedicated their newest and most cutting-edge technology to the task, and are putting it into the hands of the most highly-skilled officers they can find. At the launch of Season 9: A New Accord, all Federation, Klingon and Romulan Captains will be able to prove their worth in the efforts to push the Undine back into Fluidic Space and prevent them from launching additional attacks into our dimension. Earning progress in the 8472 Counter-Command Reputation will grant these elite captains access to equipment and abilities specifically intended to assist in the effort to defeat the Fluidic threat. Attack an Undine Shipyard in Fluidic Space and prevent their Planet Killer ships from joining various assaults throughout the galaxy. Join the planetary defense forces in orbit above several important planets to push back the Undine’s attempts to deploy a Planet Killer in orbit. Be part of a team of captains on the surface of Bajor sent to investigate and uncover the subversive efforts of Undine shapeshifters. Prevent the Undine from getting a foothold within the Dyson Sphere by performing various territory-control objectives to close their Fluidic Rifts. Each of these missions allow for scaling rewards, increasing the amount of Undine Marks received if you are able to perform above expectations and/or complete bonus objectives. Isomorphic Injections can also be earned by participating in Elite versions of any queued event which rewards Undine Marks, as well as by successfully defeating one or more Planet Killer during the final stages of the Dyson Sphere Space Battlezone. These unique items are what have allowed the Undine to disguise themselves as members of various Alpha and Beta Quadrant species. High-end gear projects will require a small amount of Isomophic Injections in order to claim the best equipment that Counter-Command has to offer. They may also be submitted to Counter-Command in return for Dilithium Ore. This Deflector is designed to improve a ship's offensive ability by providing bonuses to Starship Weapon skills as well as Accuracy. This engine offers a high maximum speed, excellent bonus to turn rate and a bonus to Inertia and Defense. In addition, it was designed to counter the significant reduction to starship friction caused by Fluidic Space. These Covariant shields will offer a high shield capacity and enhanced resistance to Antiproton damage. When you suffer Directed Energy damage, the shields have a chance to drain Weapon Power from the attacker. Matter/Anti-Matter: This Field Stabilizing Warp Core converts a portion of your ship's engine power to weapon power. It also is designed to counter complications caused by maneuvering in the organic fluid that comprises Fluidic Space. Singularity: This Field Stabilizing Singularity Core grants a bonus to Engine Power based on your Singularity Charge level. It also is designed to counter complications caused by maneuvering in the organic fluid that comprises Fluidic Space. The Hydrodynamics Compensator console was designed to reduce the challenges in both space travel and combat in Fluidic Space. This universal console provides bonuses to Engine and Auxiliary Power, Starship Targeting Systems Skill and a moderate boost to Turn Rate. This Heavy Turret fires less frequently than a standard turret, but deals substantially more damage per hit. Has a chance to apply Bio-Molecular Incubation. Also available in Disruptor energy. These enhanced torpedoes have vastly increased chances of applying Bio-Molecular Incubation. This incredibly light-weight body armor grants the wearer excellent resistance to psionic, toxic and energy damage, but only moderate resistance to physical and kinetic damage. This body armor's exo-skeleton can greatly amplify the wearer's physical strength and speed; allowing the wearer to deal greater physical damage as well as receiving a large boost to dodge, avoidance and runspeed after rolling. 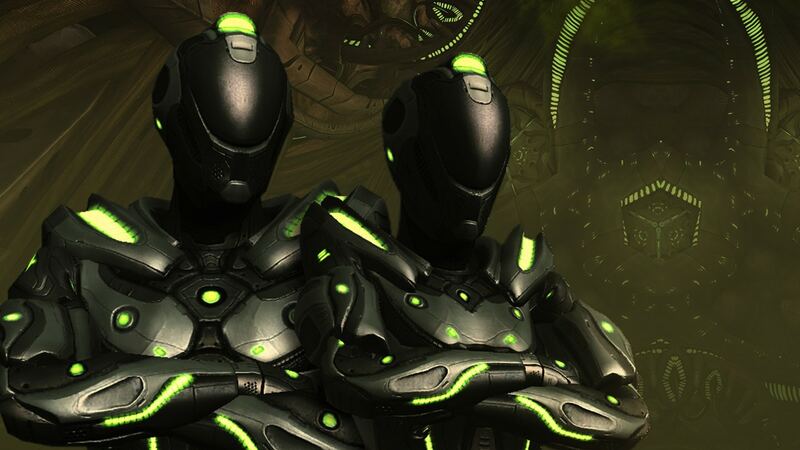 Upon earning all three pieces of the Ground Set, you will be automatically granted a Costume Unlock for the purposes of displaying the unique visuals that accompany this armor. This personal shield generator was designed to better combat the Undine threat. It offers tremendous damage resistance to psionic attacks and resistance too many control effects. Additionally, when struck by an energy or psionic attack these shields can release a deadly pulse of energy of that same damage type back at foes within close proximity of you. Counter Command Bio-Molecular Rifles fire a constant stream of unstable energy at a target. 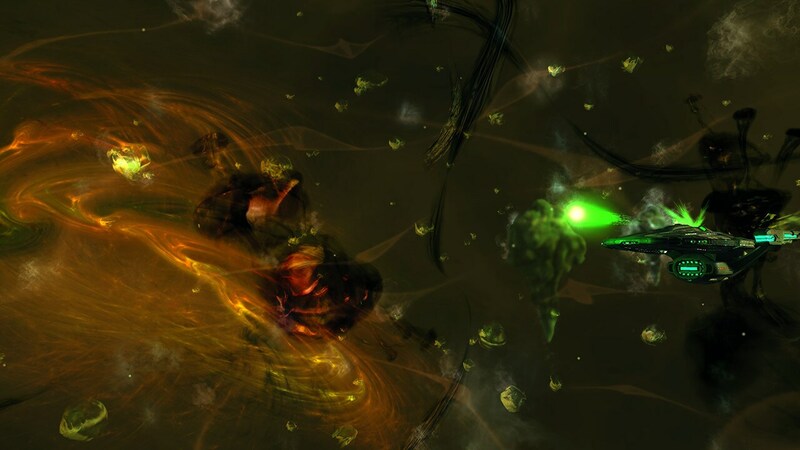 After a brief time, these unstable particles will cause a powerful explosion on the target and nearby enemies. The Bio-Molecular Rifle's primary fire mode can apply expose on the target and the weapon's secondary fire can exploit exposed targets. Each of the above sets also provides powerful bonuses when equipping more than one item on a single officer or starship. 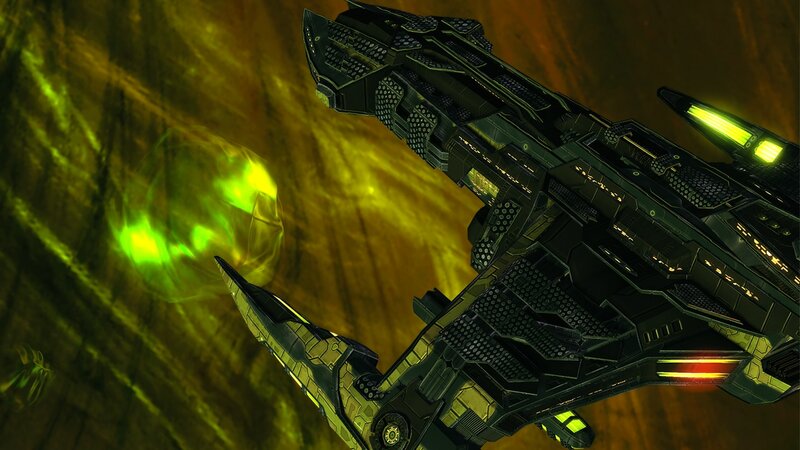 In addition to these elite equipment sets, advancing through the tiers of the 8472 Counter-Command Reputation will unlock access to a large array of Bio-Molecular Phaser and Disruptor energy weapons, and Bio-Molecular Photon Torpedoes and Photon Mines. There will also be a selection of Bio-Molecular Kit Frames which boast new passive modifiers to assist in defeating the Undine threat in ground combat. Three unique Kit Modules will also be included in the Reputation. Each is restricted to a single Profession. Attaches the Bio-Molecular Incubation effect to an existing Photon Grenade, causing additional Radiation damage to foes caught in the blast. Just like an existing Medical Generator Fabrication, but also includes an additional resistance to Psionic and Toxic damage for all allies that remain within its effect area. In addition to the functionality of a standard Sonic Pulse, this improved module can also deal Radiation damage to foes caught in the blast. The pulse has also been calibrated to be more effective when used vs. Undine ground soldiers. Create a stationary Shield Dome with a 2.5km radius which provides a massive increase to Shield Damage Resistance and Shield Regen for all allies within the effect area. A Bio-Molecular torpedo was first used to great effect by U.S.S. Voyager in their encounters with Species 8472 during their time in the Delta Quadrant. Since then, the technology has been improved and refined, and can now be used to enhance energy weapons, as well. Bio-Molecular weaponry inflicts a debilitating slowing effect for several seconds on any targets it applies to, and then explodes on expiration in a shower of radiation damage. 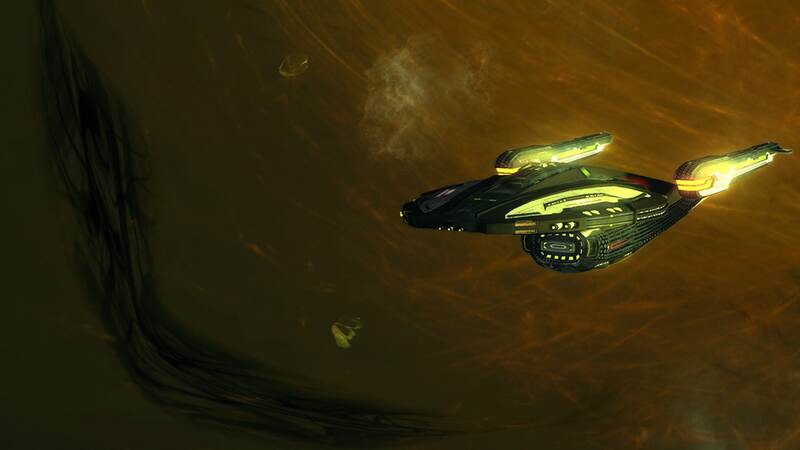 Bio-Molecular radiation causes additional damage to Undine ships and personnel, but is still devastating when used against other lifeforms and starships. 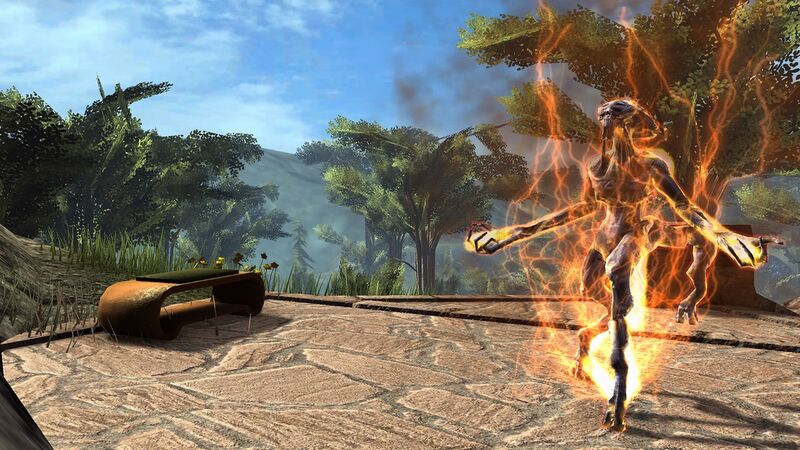 This effect can be cleansed during its incubation period, if the opponent has quick enough reflexes. It is worth noting that each weapon earned or unlocked from this Reputation will be available to players from any allegiance, regardless of the energy type historically associated with each. Meaning that Klingons (and Romulans allied with them) will have the opportunity to earn Phaser weapons, and Federation captains (and their Romulan allies) will be able to earn Disruptor weapons, should they so choose. The unique weapons that can be equipped as part of the Counter Command Ordnance Space Set and 8472 Counter Command Elite Ground Set each occupy the same “slot” for the purposes of set completion – equipping both Phaser and Disruptor of either set does not unlock the 2-piece Set Bonuses associated with that set. However, either may be used as a single piece of their respective sets, in combination with other equipment set pieces, in order to unlock those associated set bonuses. The 8472 Counter Command Reputation comes fitted with all of the updates and changes that are being applied to other existing Reputations with the release of Season 9. Please review our previous Dev Blog on the subject for more information on the details associated with those changes. 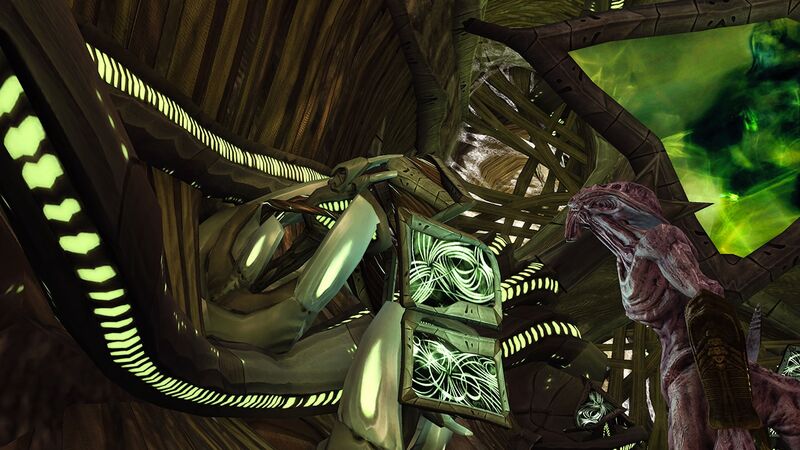 We are very excited to bring you this new reputation system with the upcoming release of Season 9, and hope that everyone enjoys all the new content and rewards the Undine Reputation System will bring to STO. This content is sure to add a rich new layer to our game, as well as stun our players with the design and quality of the Space and Ground gear sets. We hope to see you in your Anti-Undine armor in-game very soon! Click here to learn more about Legacy of Romulus, our free-to-play expansion for Star Trek Online. 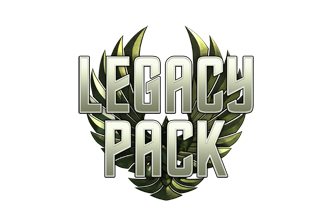 Advance your journey of rebuilding the Romulan legacy with a Legacy Pack purchase! Click on the logo below to learn more about it. Want more game details, screens, and videos? Like Star Trek Online on Facebook for more exclusive content and follow us on Twitter – tweet us your questions! 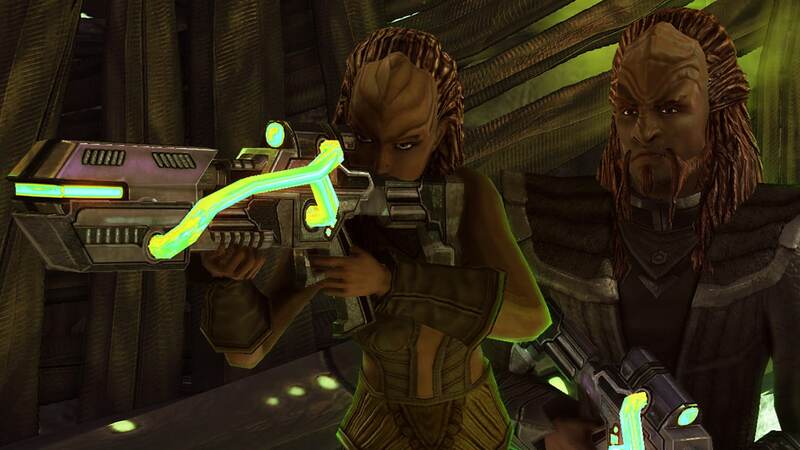 And, subscribe to our YouTube channel for the latest Star Trek Online videos. Learn about the past of Gabriel Lorca and Ellen Landry with our latest update, starring Jason Issacs and Rekha Sharma.